Welcome to the Capital News Centre! We invite you to browse through our store and shop with confidence. We invite you to create an account with us if you like, or shop as a guest. Either way, your shopping cart will be active until you leave the store. We offer a wide range of programs for all skill levels. 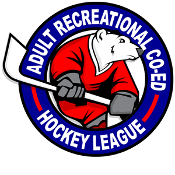 Adult hockey spots are opened every Wednesday. We open up the adult spots a week at a time. All players MUST sign up online. We unfortunately cannot allow players to just show up and play. VISA/Debit cards will not work with our online store, we do apologize for this inconvienience. On behalf of the GSL Group, we would like to thank you for choosing our facility to participate in.